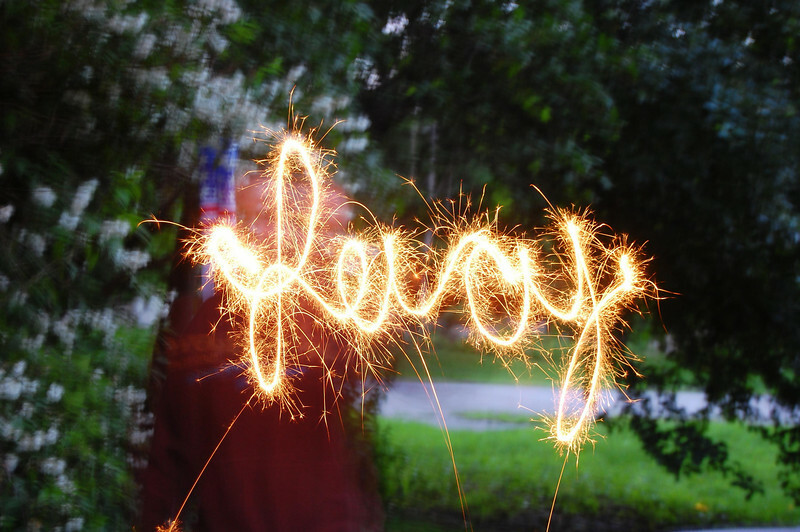 Of course, as soon as I started 'perfecting' this type of picture, we ran out of sparklers. We were starting to have so much fun with this idea....so we will undoubtedly be purchasing more so that I can have even more fun!!! This was when I started figuring it out..
Lacy wrote her name the regular way from her perspective, so of course, it was backwards when I took the picture. I just did a little flippety flip in Paint to make it read the correct way. I think next time we will wait till it's totally dark outside. Need. to. go. get. more. sparklers. This is awesome! What setting was it? I've been shirking my blog reading duties and missed this! WOW!! WOW!! That is SOOOOOO cool! Thats All I can say, its just that cool. And thanks for the tutorial. Might have to try this too! 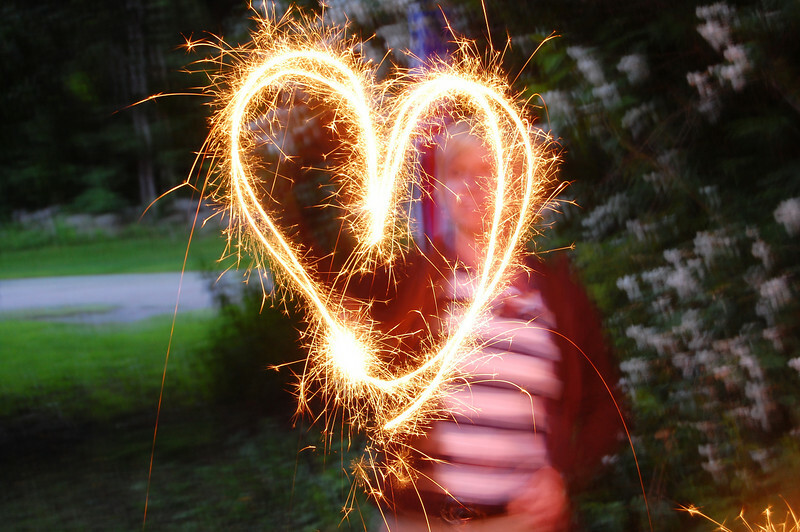 A "how to" on the sparkler fun..